Global Technology Sales Solutions (GTSS) the customer acquisition and expansion experts for the technology industry has announced a strategic partnership with LeadMaster®. Boca Raton, FL - Global Technology Sales Solutions (GTSS) the customer acquisition and expansion experts for the technology industry has announced a strategic partnership with LeadMaster®, a leading provider of All-In-One cloud lead management solution. This strategic alliance will provide sales and marketing organizations with leading edge business opportunity management technology and services to meet a growing demand for high caliber B2B demand generation. 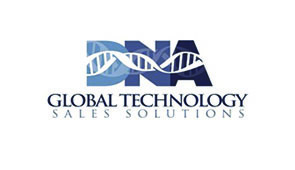 Global Technology Sales Solutions (GTSS) developed and patented the “DNA Demand Generation™ Process”, its own innovative ‘business development’ process, which sets them apart from any near competitors. With a focus on revenue, GTSS is geared to help address the challenge of conversation rates on traditional lead and appointment generation. “GTSS’s DNA process is geared to invigorate the demand generation industry with a revenue-focused process designed to help address the fundamental challenge of sales and marketing misalignment. LeadMaster’s cloud based technology provides GTSS clients with an easy-to-use robust platform to host and manage the business opportunities developed.” said Russ King, Founder and CEO, LeadMaster.